And Chex has been kind enough to host a giveaway with me just in time for your upcoming Super Bowl celebrations… please email me at brocandchoc@gmail.com or leave a comment below to be entered to win the following Chex Mix gift pack, sent right to your door! With that, all you need to do is pick your favorite Chex Mix recipe, add a couple ingredients to your Super Bowl shopping list, and get ready to party on Sunday. Leave a comment below or send me an email at brocandchoc@gmail.com, and I will pick a random winner tomorrow (Tuesday 1/27) evening at or about 9pm. 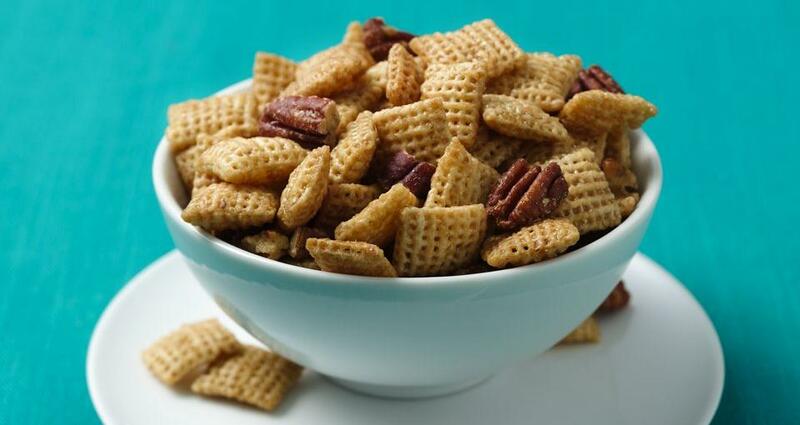 Then the very kind Chex lady will send your party pack to your home lickety split — any entries in the continental United States are eligible. Yeay! *Super Bowl party is just a serving suggestion. Use for whatever parties you so choose. This site has always been an enjoyable read. Plus, I want to win Chex Mix and glasses. We are totally related. I was just talking to Monique about making a chex mix – we call it “trash” in Brownwood! I haven’t had Chex Mix in ages! So many new flavors! I’d like to try the Pistachio Lime recipe. i think a sriracha chez mix would be a yummy recipe…gonna work on that now!